A DMX lighting control from Chauvet is a great way to introduce something new to your next DJ set. Controlled lighting looks impressive when it’s done well, and it’s relatively easy to learn how to design lighting for your set, giving you a lot of bang for your buck when it comes to crafting a memorable DJ gig. 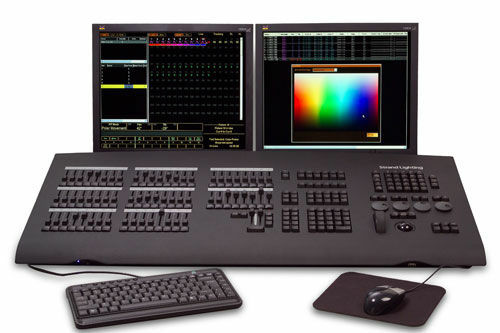 Lighting controllers come in hardware and software form, the first being controlled by an independent device, and the second operated from a computer or laptop. While both methods have advantages and disadvantages, DMX hardware lighting controls are often a good choice for novices. DMX is a serial protocol generally considered the industry standard for stage lighting hardware. It’s reliable, and its ubiquity makes it an easy and safe bet to learn. However, it is susceptible to interference when one of the associated hardware components such as a cable comes in contact with static electricity or another hazard. DMX doesn’t use automatic error checking to correct mistakes caused by interference. DMX setups are controlled by a single master controller with special cables networked out of ports in the back. Smaller devices may also be networked to the main control panel to create more elaborate setups. 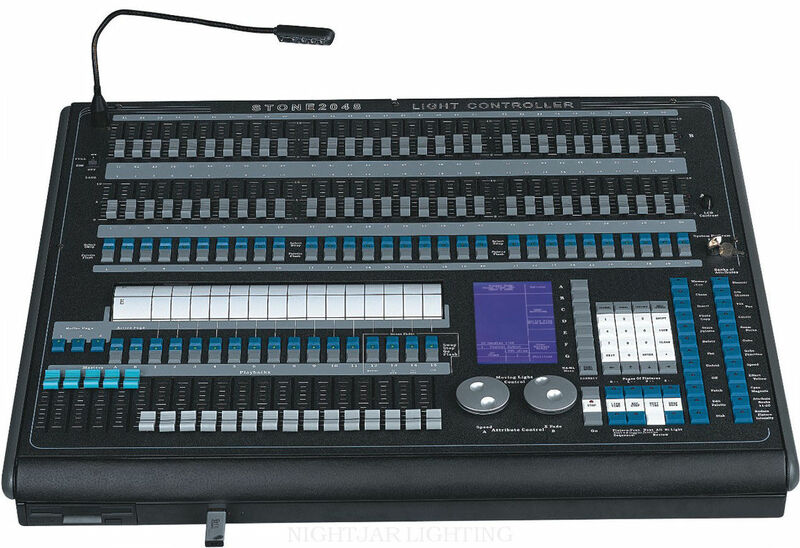 DMX supports up to 512 channels, which does not necessarily mean that 512 lights can be operated from a single panel since most lights take up more than one channel. Start creating a custom DMX set up by purchasing compatible devices and lights. There are a lot of different light setups available, as well as devices like smoke machines that run on DMX. The exact items you buy depends on the overall effect you want to achieve, but in general it’s best to start with some basic lights like spots and overhead rigs and incorporate more complex items in later. You will also need a DMX control panel. A computer or laptop is usually fine, though you will probably have to buy a converter to allow DMX input. Finally, you’ll need to find some good software for programming lights. There are some good Open Source options available online that you can download for free, but too get more precise control you may need to pay for a professional software package. The specifics of lighting design depends on the software package you choose. However, most packages offer similar features. You can use the software to switch lights on or off and dim or brighten them. Lights can be controlled on a timer, or by hitting software cues. Finally, pre-programmed light shows can be saved on the controller device and then loaded up whenever you need them. Most controllers allow for the storage of multiple programs so you have more than one lighting option to choose from. The primary advantage of DMX hardware lighting control is that it’s easy to learn even if you aren’t particularly tech-savvy. Another big advantage is that if you lose power or suffer a software crash, all your settings are retained so you don’t have to reprogram your lights.